2018 Hall of Fame inductee Steve Nash was a back-to-back MVP with the Phoenix Suns in the mid 2000s. On the front left tail is the Adidas manufacturer’s tag with four attached flag tags, size “40”, “CLIMALITE”, “2009-2010” and “+2LENGTH”. 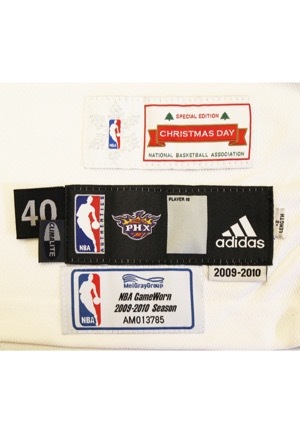 Adjacent below is a tag reading “MeiGrayGroup NBA Game Worn 2009-2010 Season AMO13785” and adjacent above is a tag reading “SPECIAL EDITION CHRISTMAS DAY NATIONAL BASKETBALL ASSOCIATION”. 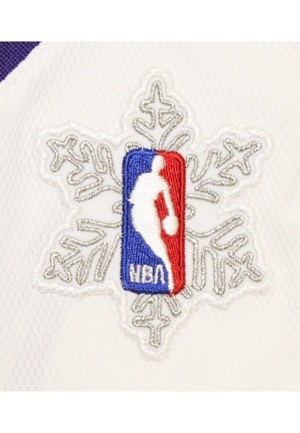 On the upper left chest is the official "NBA" logo patch inside a snowflake for Christmas day. Across the chest reads “SUNS”. 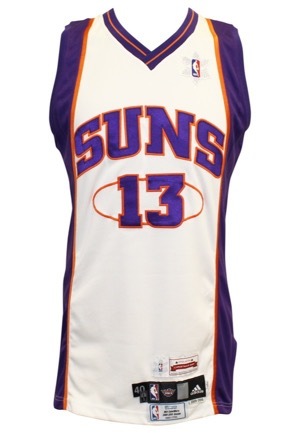 Below and on the back is the player number “13”. These are done in purple on orange tackle twill. 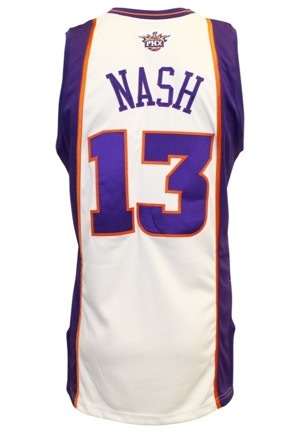 Across the back is the player name “NASH” in purple tackle twill sewn directly into the jersey. 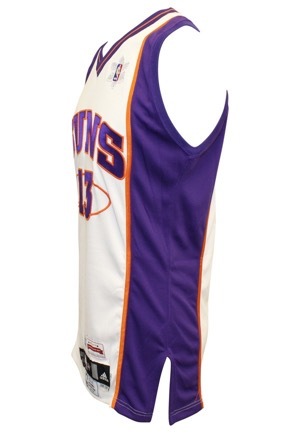 On the back below the collar is the team “PHX” logo patch. This jersey is properly tagged and was presented to us as game-issued.